Wednesday 6th June 1962. 6pm. The first visit of The Beatles to the EMI Studios in Abbey Road. John, Paul, George and Pete were still unsigned, and their equipment was shabby: wooden unpainted amplifiers, generating as much noise – according to the studio employees – as the instruments themselves. The Beatles recorded four songs: Besame Mucho, Love Me Do, PS I Love You and Ask Me Why. George Martin gave the scruffy group a lecture about their scruffy equipment. The Beatles remained silent throughout, listening to the well spoken man in charge. They all looked at each other for a long time, staring at their feet, until George Harrison famously replied, “Yeah. I don’t like your tie”. That one comment cracked the ice, and for the next 20 minutes The Beatles entertained George Martin, Cris Neal and the other Abbey Road employees with their wit and winning personalities. The moral of the story? If you ever want to ingratiate yourself with someone, criticise their clothing. Such is the history of the EMI Studios, which would later come to be known simply as Abbey Road. Built in 1813, the studios were converted from a Georgian townhouse with nine bathrooms to the studios we see today, which have been vastly extended into what was the back garden. I visited the studios recently for the first time, spending time in studio one – a huge hall designed to house and record full orchestras – and studio two – the same studio where The Beatles recorded around 190 of their 212* album tracks and singles. 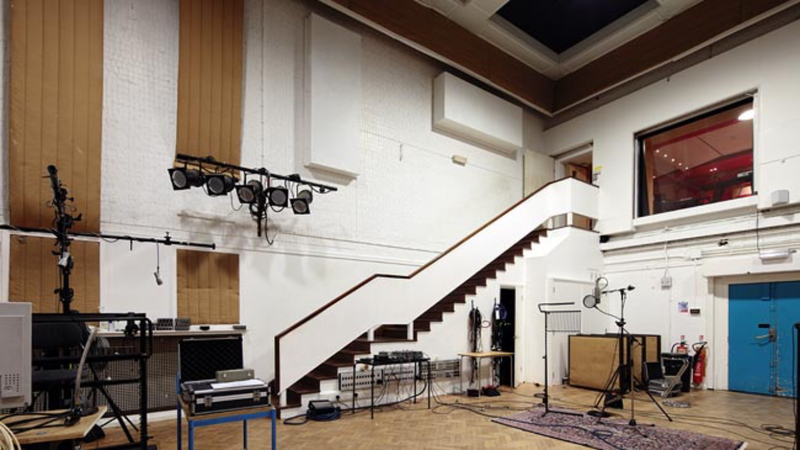 Studio 2 is recognisable by it’s parquet floor, high ceiling and substantial size (albeit smaller than Studio 1) and in particular the steep staircase that takes you to the control room where George Martin and his engineers would have sat during recording sessions, with much running up and down stairs to shift microphones, talk to the band etc. Much later in the sixties, after a period of time when the lab coats had been scrapped, management proposed the lab coats be reintroduced. Geoff Emerick, one of the Abbey Road engineers, recalled that this time staff engineers rebelled by all wearing appallingly mismatched sizes. Back in 1962, musicians would enter the building through the back door, with only engineers and producers allowed through the front entrance. The Beatles changed this approach to what exactly constituted “the talent”. 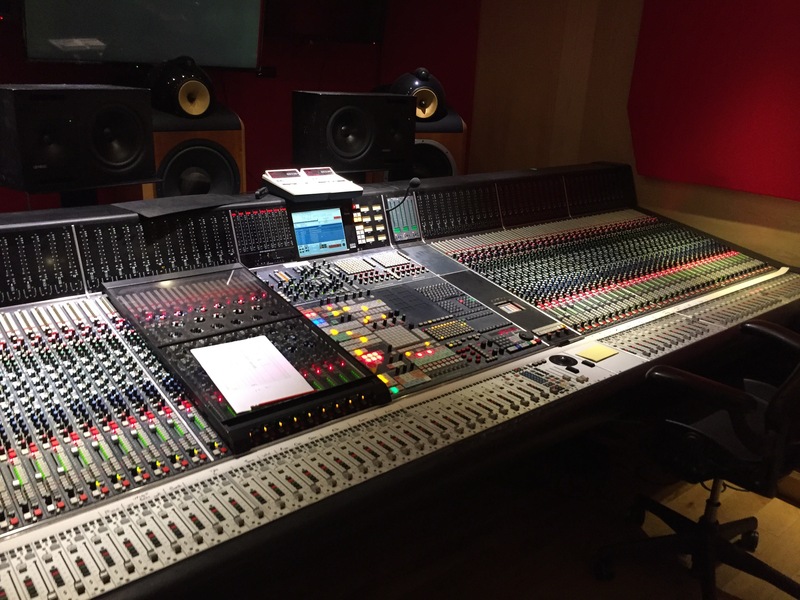 I took the chance to head up to Studio 2’s control room, to take a look at the console and breathe in the atmosphere. The console itself was directly responsible for one of the most famous introductions to a Beatles record: that overloaded fuzzy guitar riff at the start of the single version of “Revolution”. By 1968 and The White Album, The Beatles were squabbling. For the guitar introduction of “Revolution” Geoff Emerick plugged two overloaded, patched together microphone outputs straight into the Studio 2 console, risking a severe case of overheating and a possible studio blaze. “If I was the studio manager and saw this going on, I’d fire myself” thought Emerick at the time, and promptly did so by quitting the sessions. It was in Studio 2 where Pink Floyd first met The Beatles, who were recording “Lovely Rita”. Floyd drummer Nick Mason recalls there being little banter between the two groups but despite Floyd’s then lack of proficiency they felt enthused by the experience. Mason, Waters, Barrett and Wright sat humbly at the back of the control room, up the stairs, whilst The Beatles and their engineers worked on the mix. It would be nice to report a meeting of minds, but after a while, Floyd were ushered out again and that was that. Floyd returned to Abbey Road to record (amongst other albums) Dark Side of the Moon and the unreleased follow up “Household Objects” which comprised of the band recording – over a period of two months – a series of sounds not produced by musical instruments but by stroking wine glasses, breaking light bulbs, sweeping brooms and plucking egg slicers. The result was not a success, but at least it gave David Gilmour time to discover a young performer by the name of Kate Bush, and the sound of stroking wine glasses did end up on the first part of “Shine On You Crazy Diamond”. It was also at Abbey Road’s Studio 3, on the 5th June 1975 during the “Wish You Were Here” sessions, that Syd Barrett dropped in on the band whilst they were working on “Shine On You Crazy Diamond”. You can read the full story of that meeting by clicking this link. 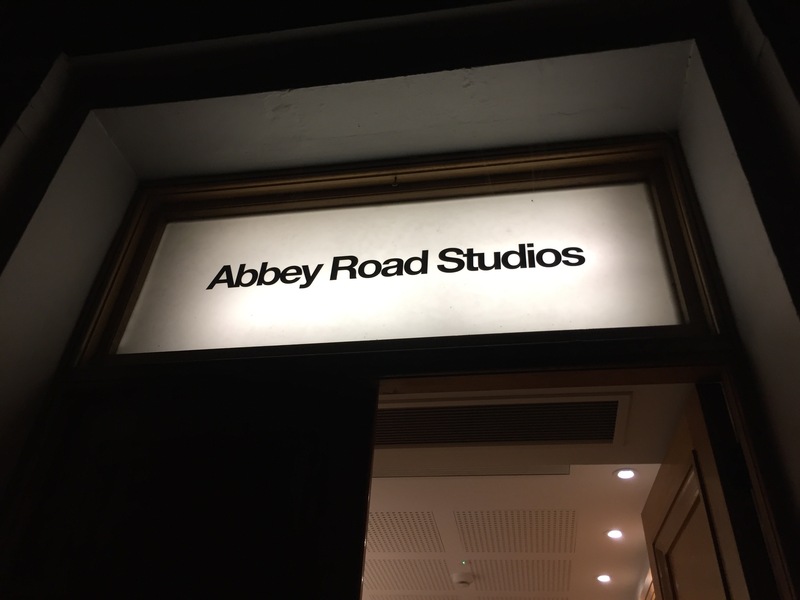 The good news is that for those unable to schlep over to the studios (and they aren’t routinely open to the public) there is now an app that will allow you to experience a virtual visit to the Abbey Road studios, guided by George Martin’s son Giles. It’s called “Inside Abbey Road” and works with one of those Google virtual reality viewers, although you can get a good idea by holding your phone sideways close to your face. 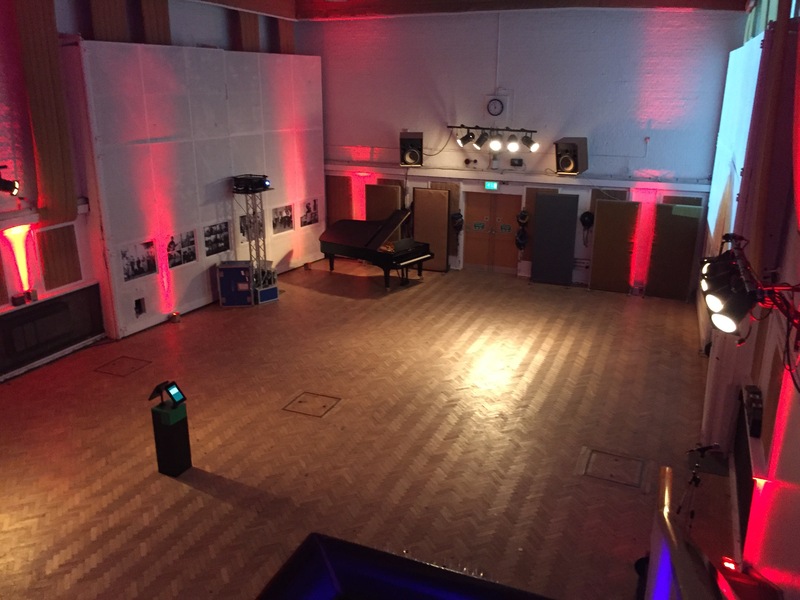 * the precise numbers vary but the proportion of songs recorded in studio 2 is around 90% of all Beatles songs recorded at Abbey Road, making this studio by far the preferred venue for the Fab Four. It’s strange how ‘recorded at Abbey Road’ is almost as important as who an album was recorded, produced, mixed, and mastered by. That’s the importance of Abbey Road, I guess. The Zombies’ masterpiece Odessey and Oracle was also recorded here throughout ’67.